One of my favorite parts of being a photographer is the amazing moments I get to witness and the beautiful stories that I am able to capture. 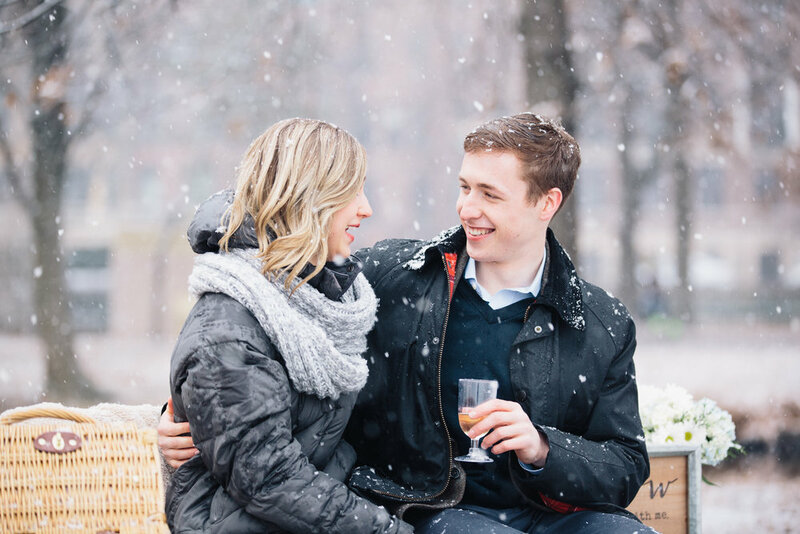 Sarah and Justin's proposal during Boston's first winter storm is absolutely one of my favorite stories. When Justin reached out to me about shooting the proposal I was so excited, and when he told me all his plans for surprising Sarah that pulled hard on my heartstrings. 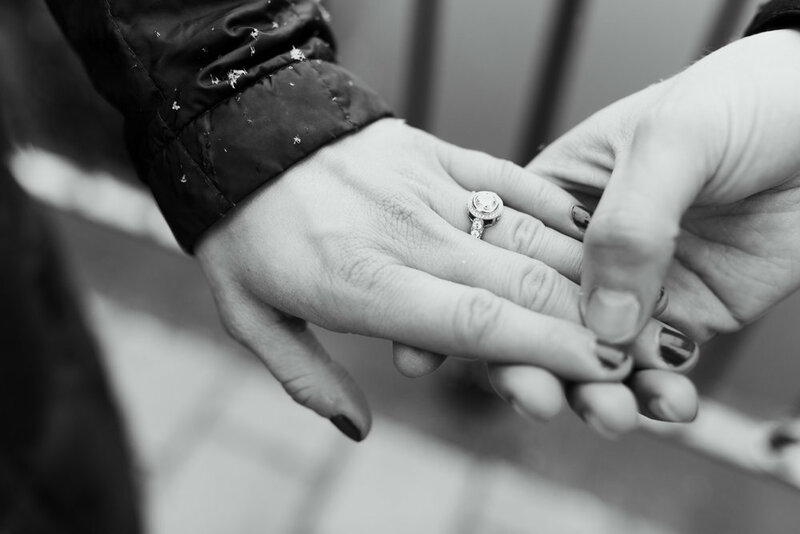 At this point, I was also very recently engaged and knew what an amazing time this would be for them. So to be able to help another couple with this special moment...I was all about it. Justin told me the specific block of the Commonwealth Mall that he was planning on proposing. So early Saturday I walked up and down that block about a dozen times, I probably looked crazy to anyone who was watching me. When I finally saw them, I got my camera ready and waited for Justin to drop to his knee. Justin proposed with Sarah's grandmother's gorgeous ring, and I think it's safe to say she was pretty surprised! Justin then suggested we go to the Charles and take a few pictures. When we got there he had a park bench set up for surprise #2, complete with champagne, a blanket, flowers, and a sweet sign. Cue tears from just about everyone. 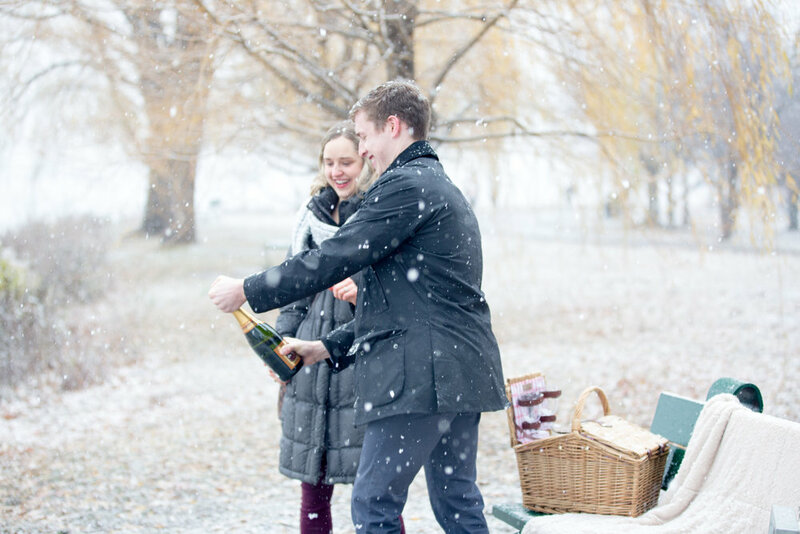 They popped champagne by river and we took some photos. 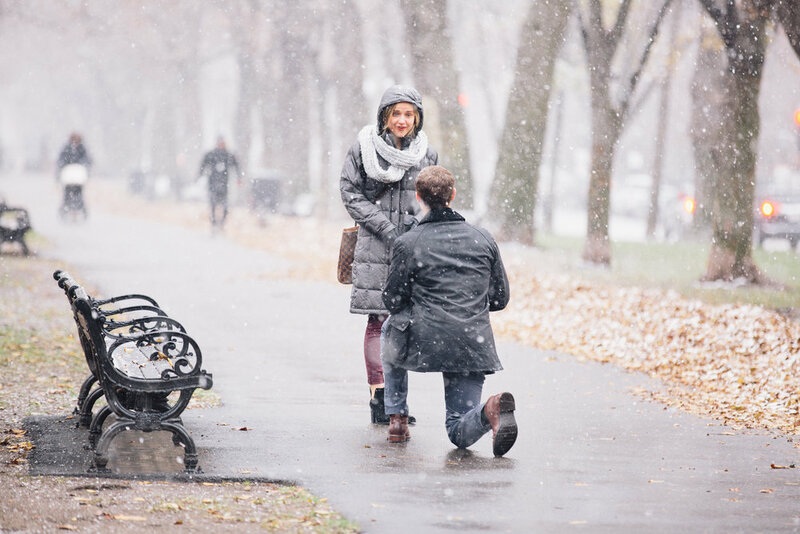 Another amazing surprise was to learn that this proposal was featured on The Knot's How He Asked! 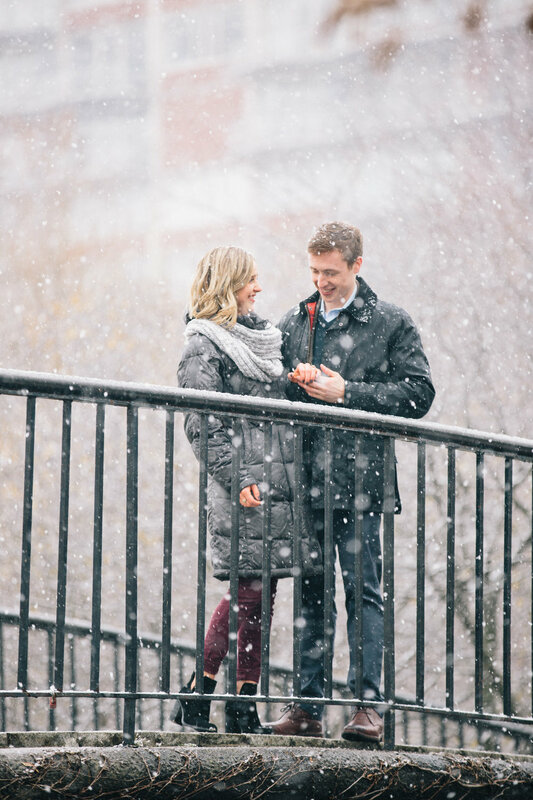 You can read more about their proposal story from Sarah's perspective here .